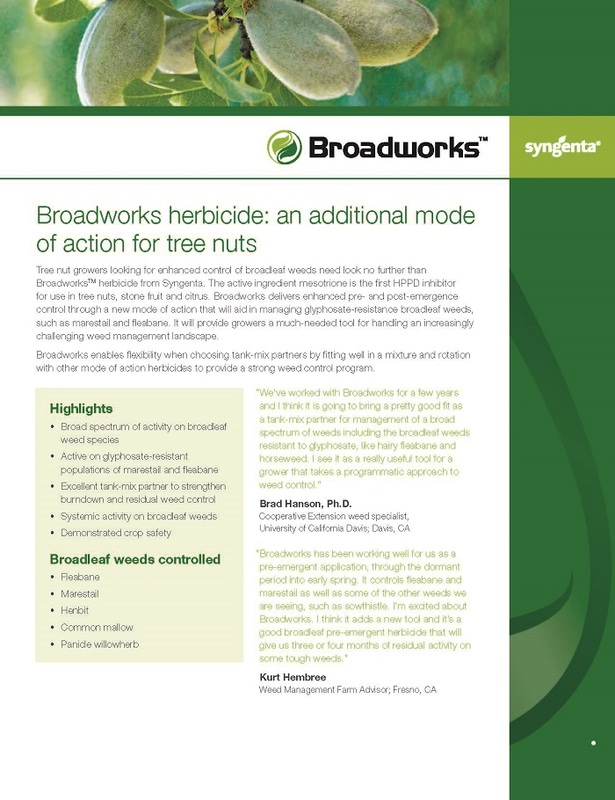 Broadworks® herbicide is the next innovation from Syngenta for selected tree nut and tree fruit crops. The active ingredient, mesotrione, is an HPPD (4-hydroxyphenylpyruvate dioxygenase) inhibitor in WSSA group 27. Broadworks delivers enhanced pre- and post-emergence control through a mode of action never before available to these crops that will aid in managing glyphosate-resistant broadleaf weeds, such as marestail and fleabane.